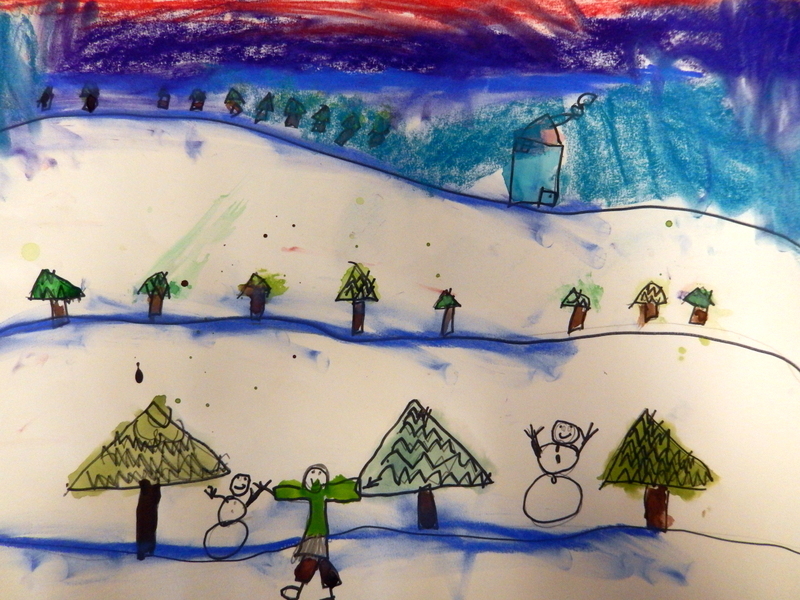 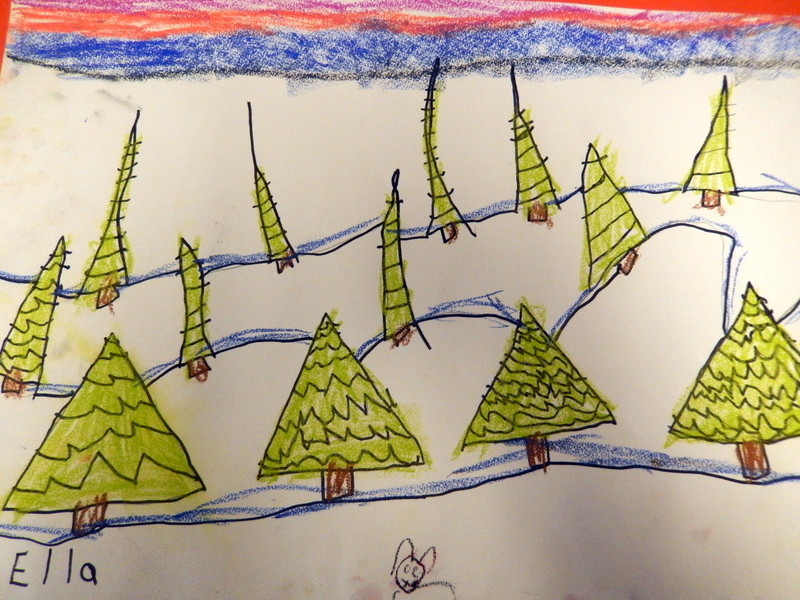 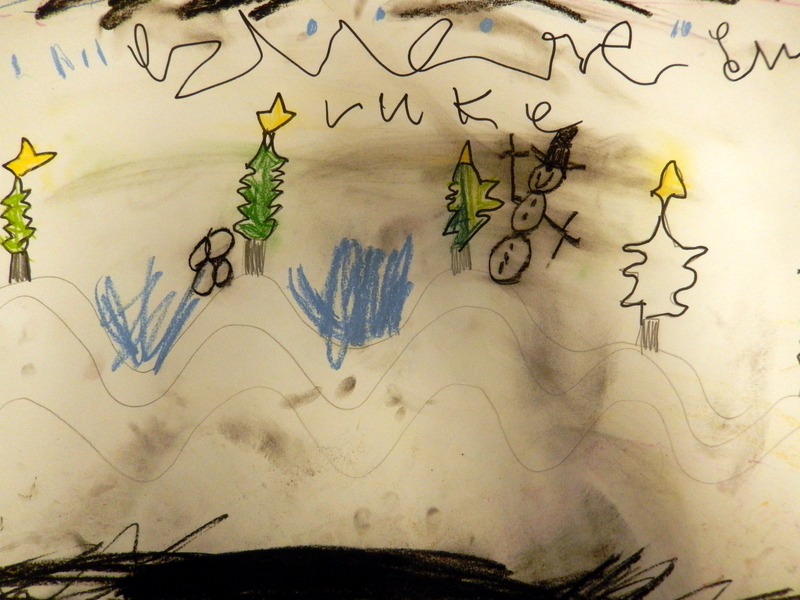 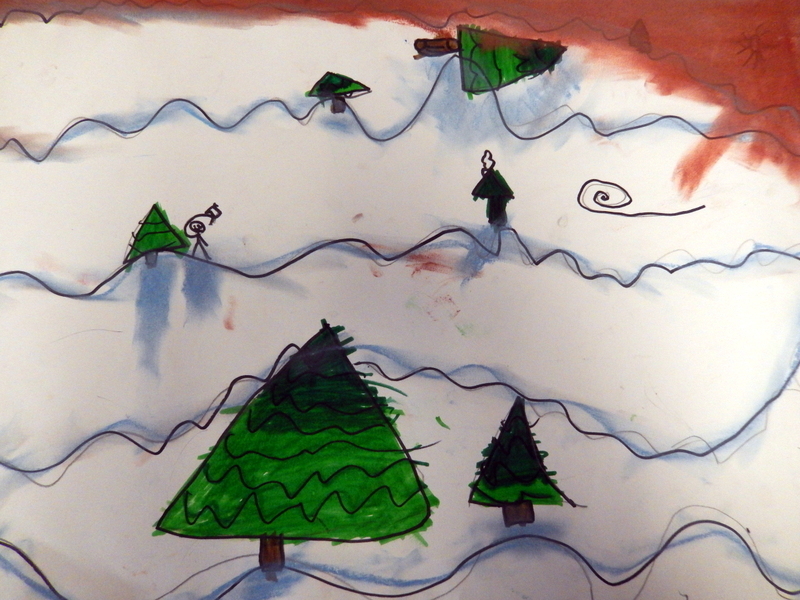 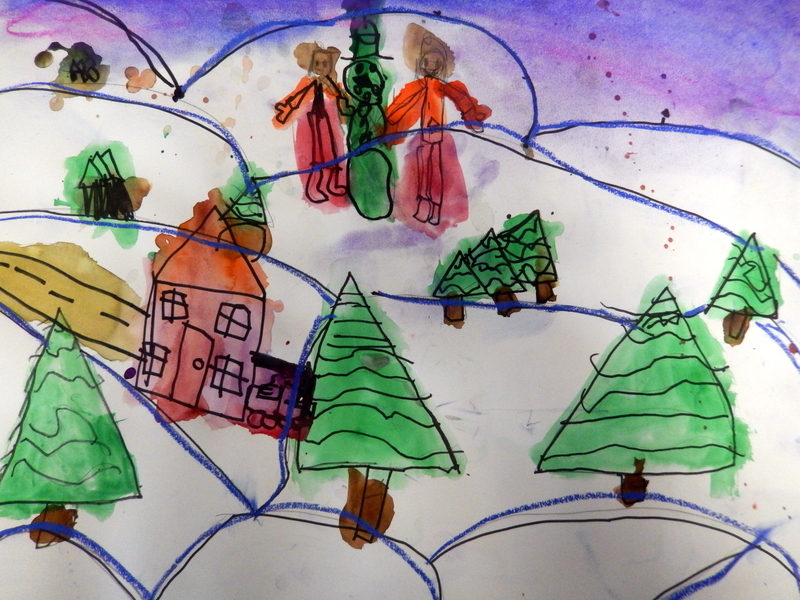 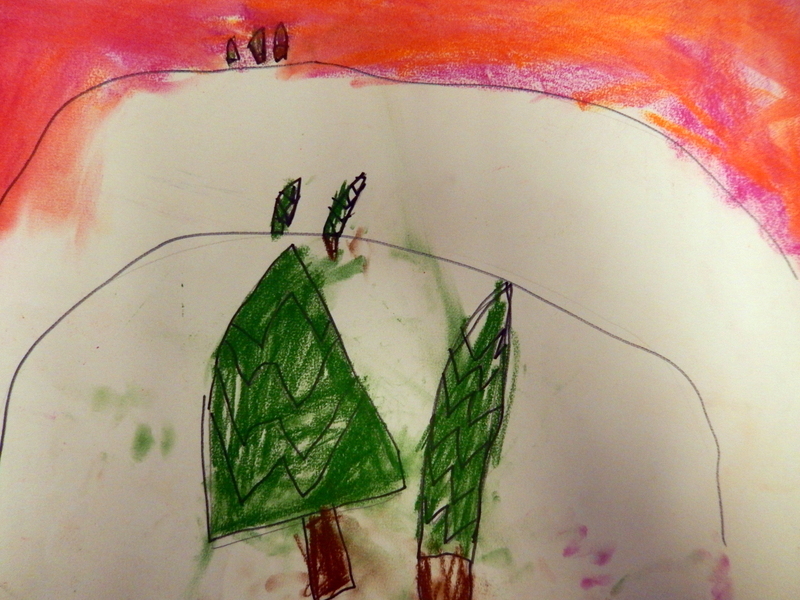 First graders learned about size and scale with this winter tree project. 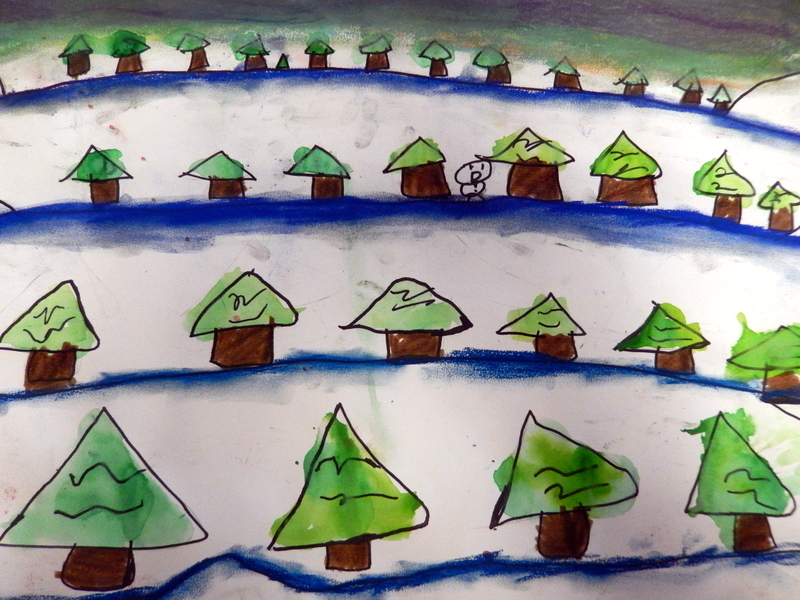 The objective was to show big trees in the foreground, medium trees in the middle ground, and tiny trees in the background, creating the illusion of depth. 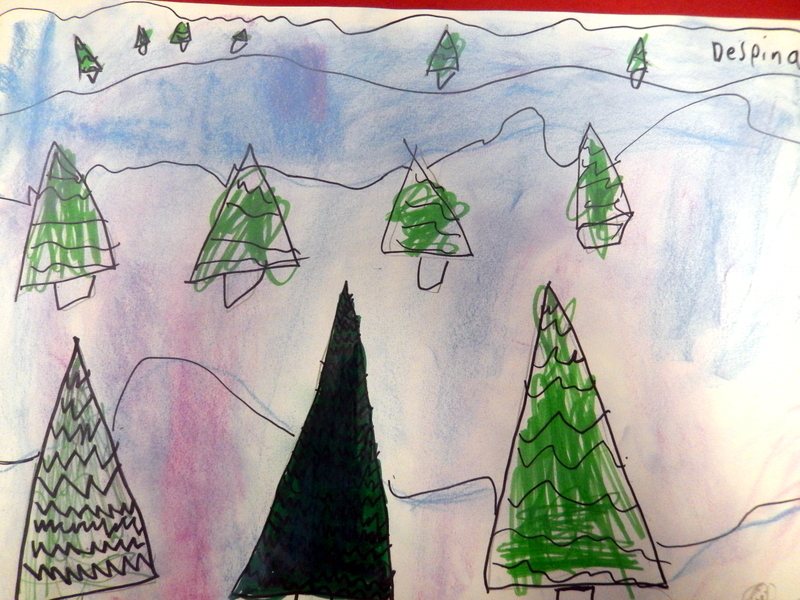 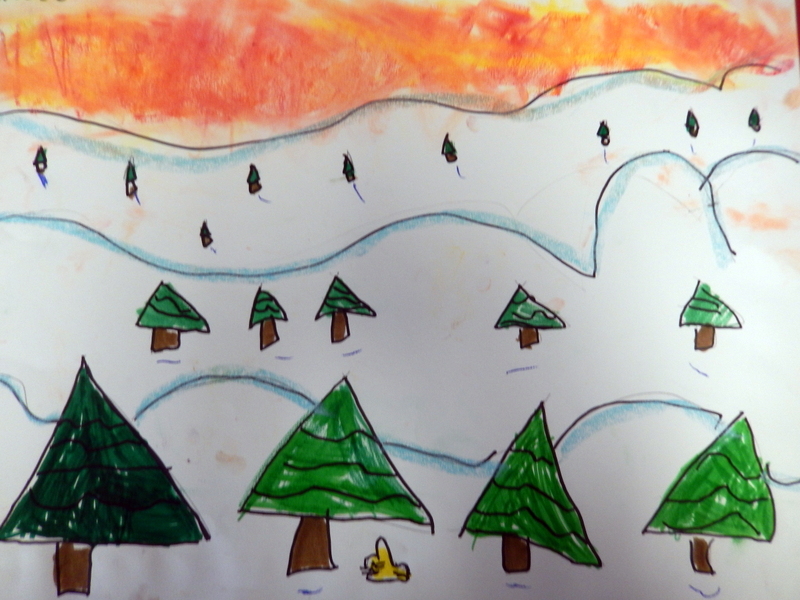 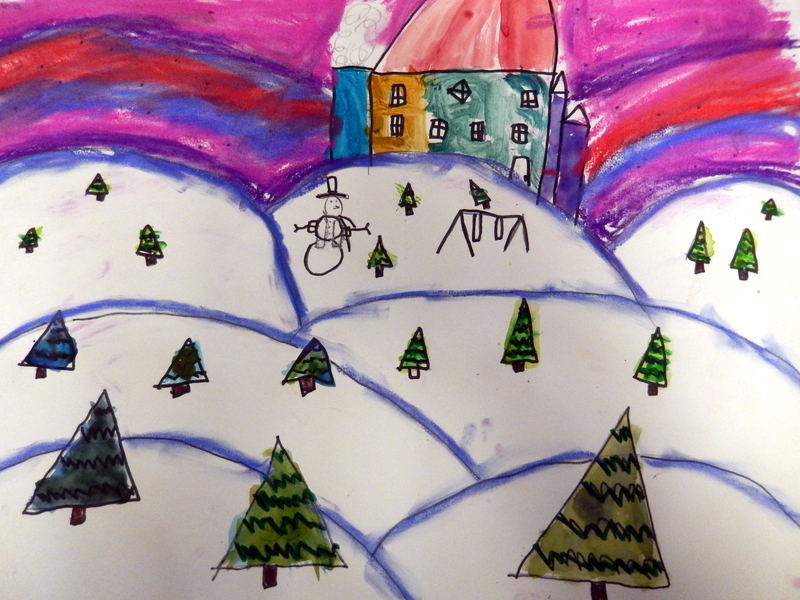 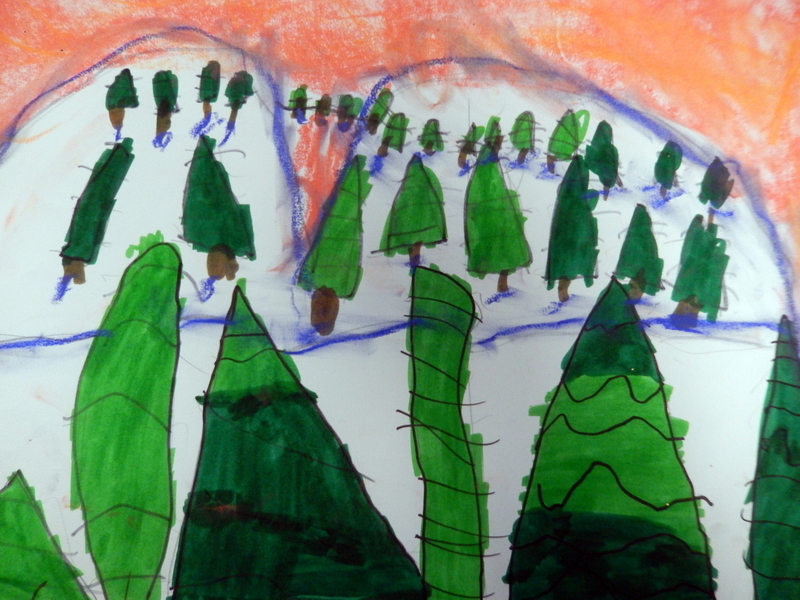 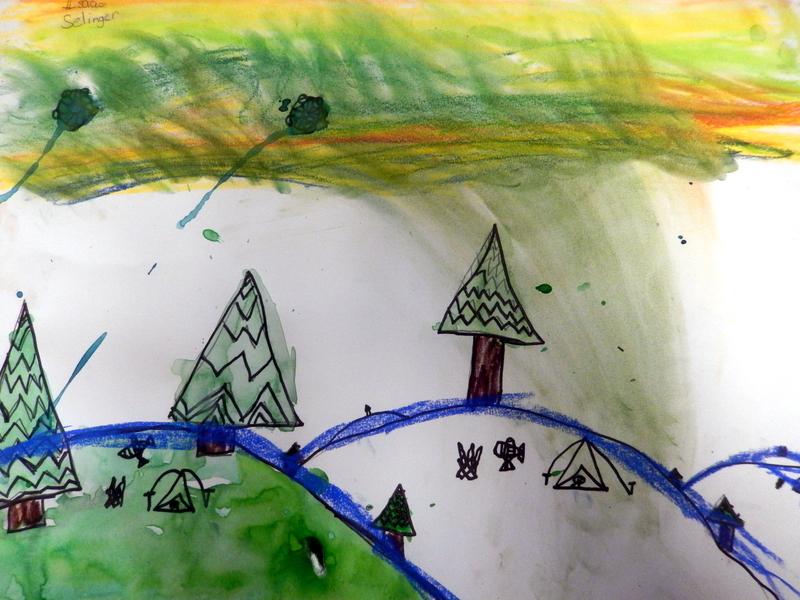 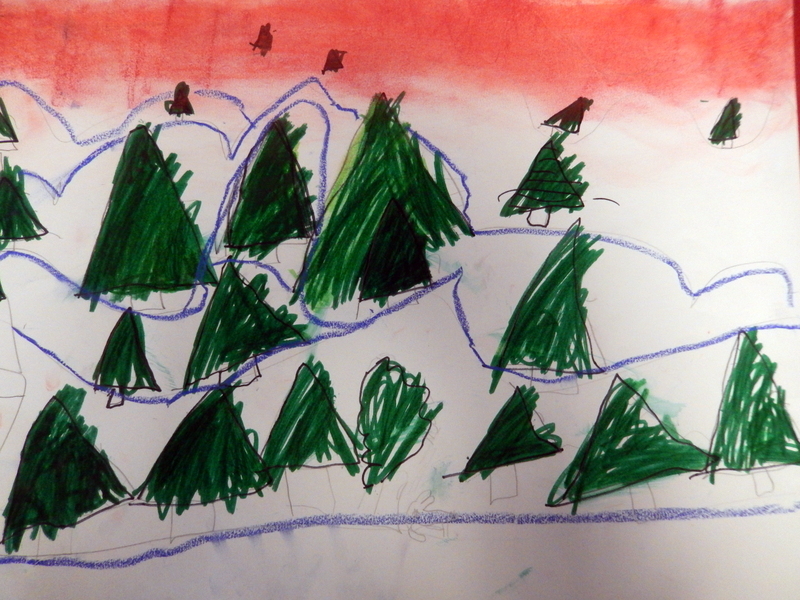 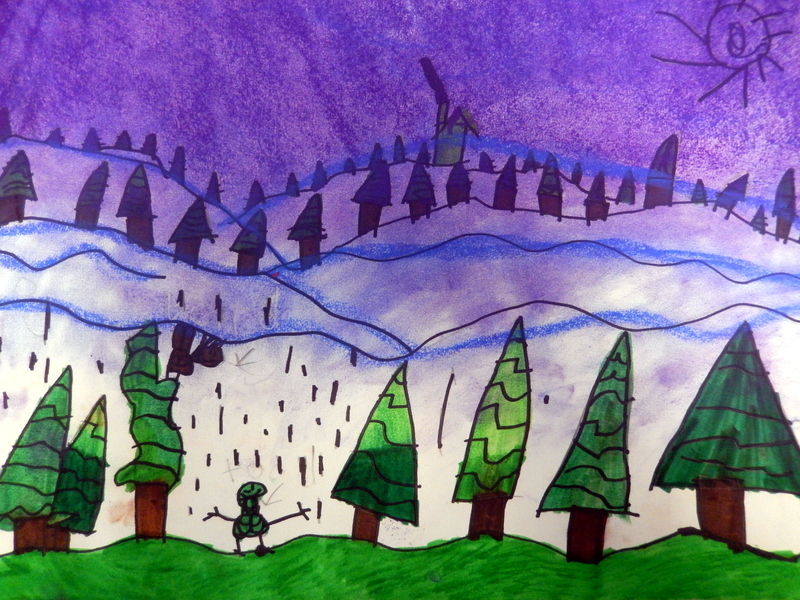 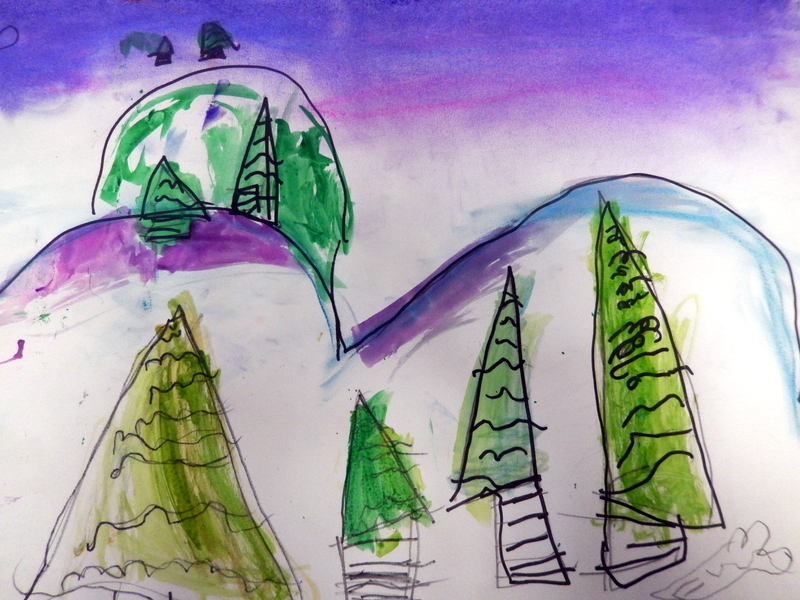 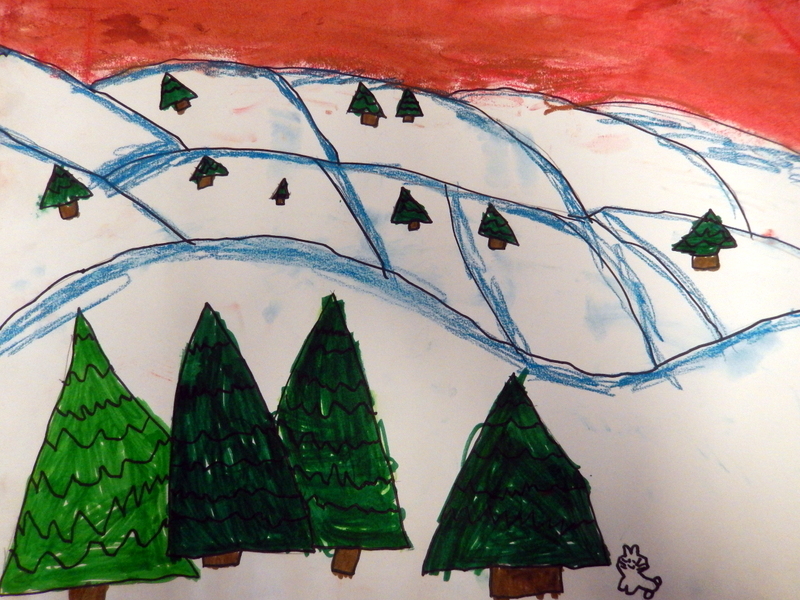 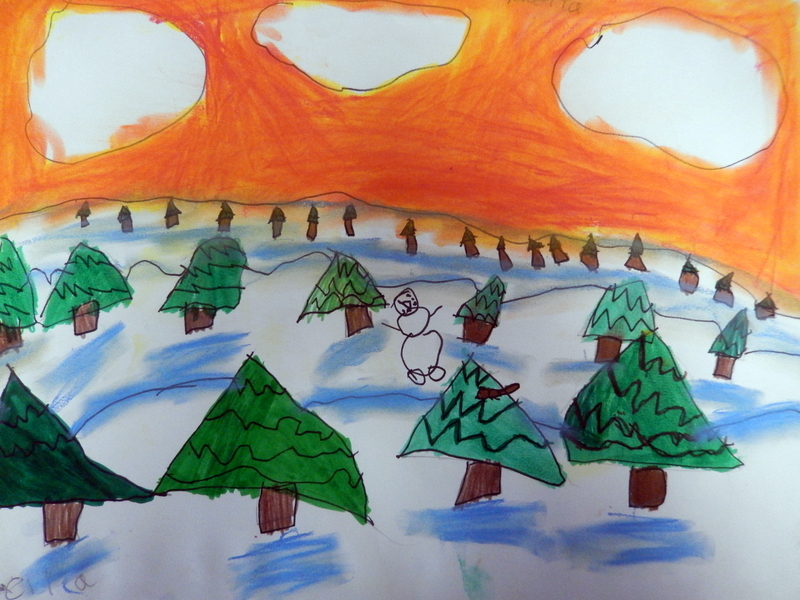 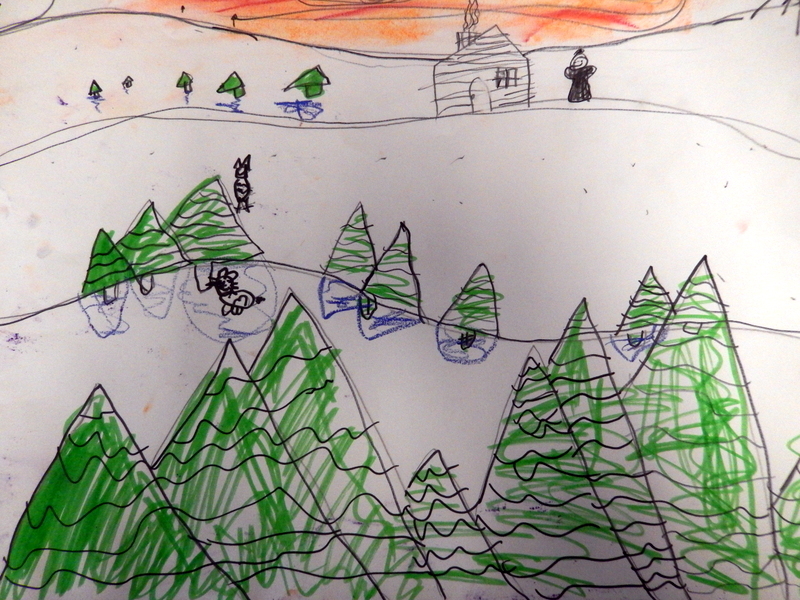 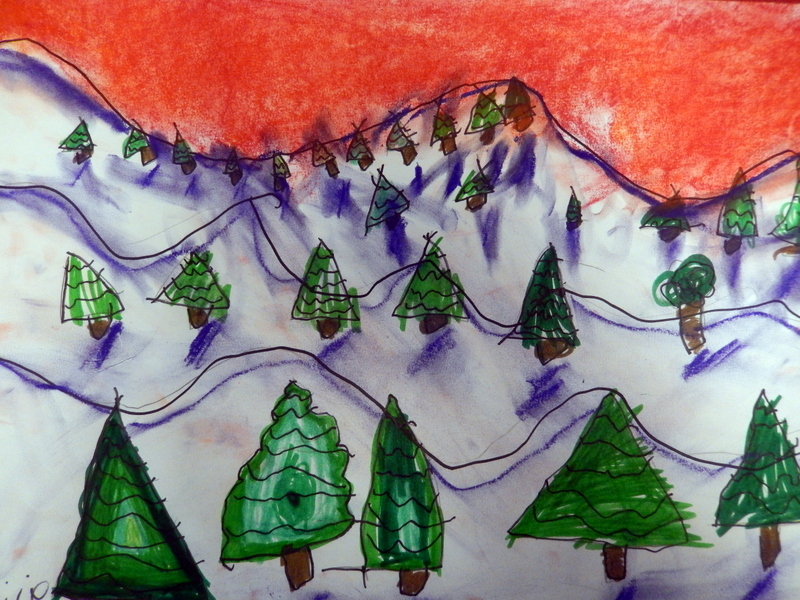 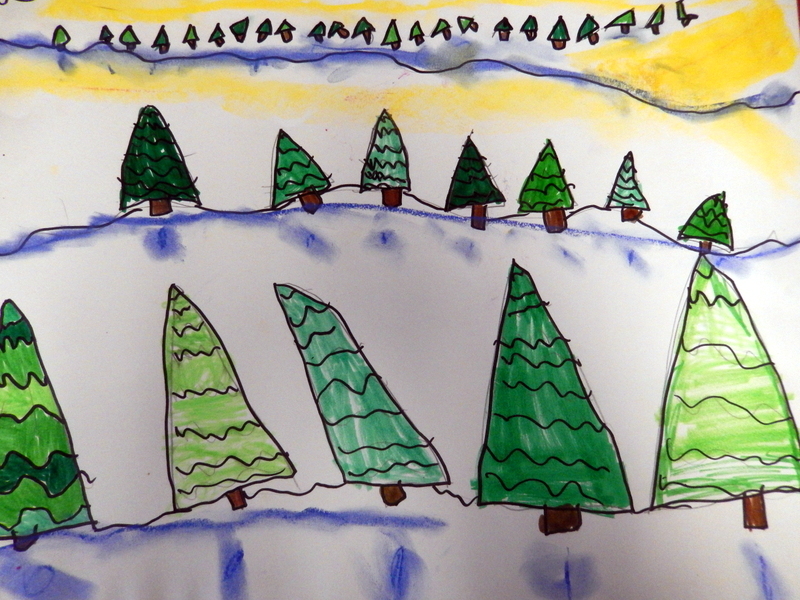 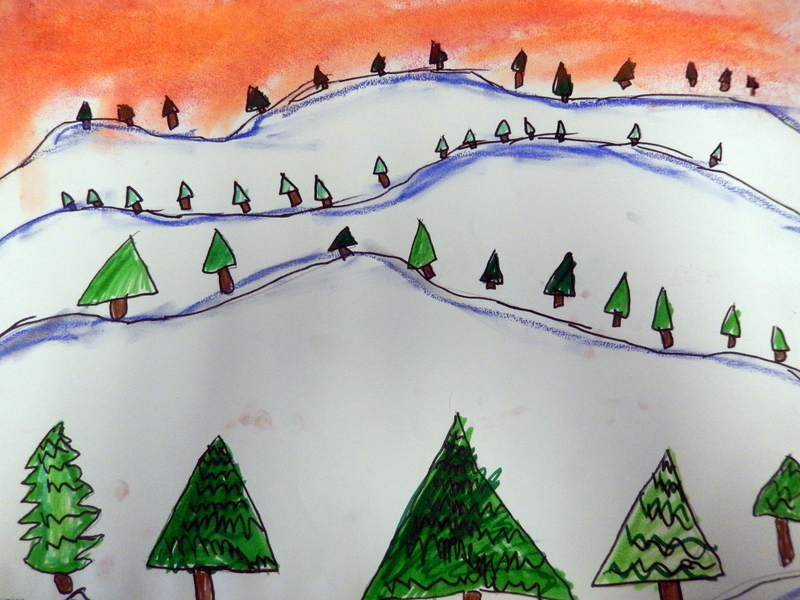 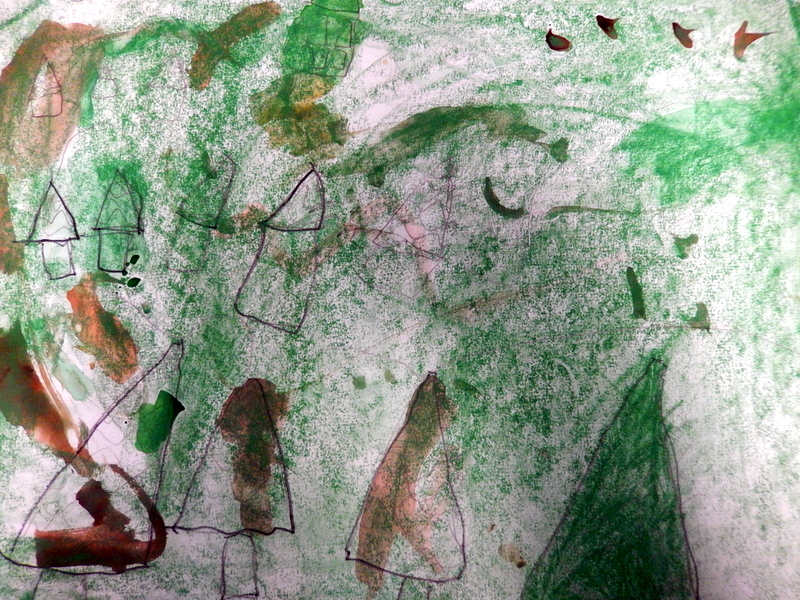 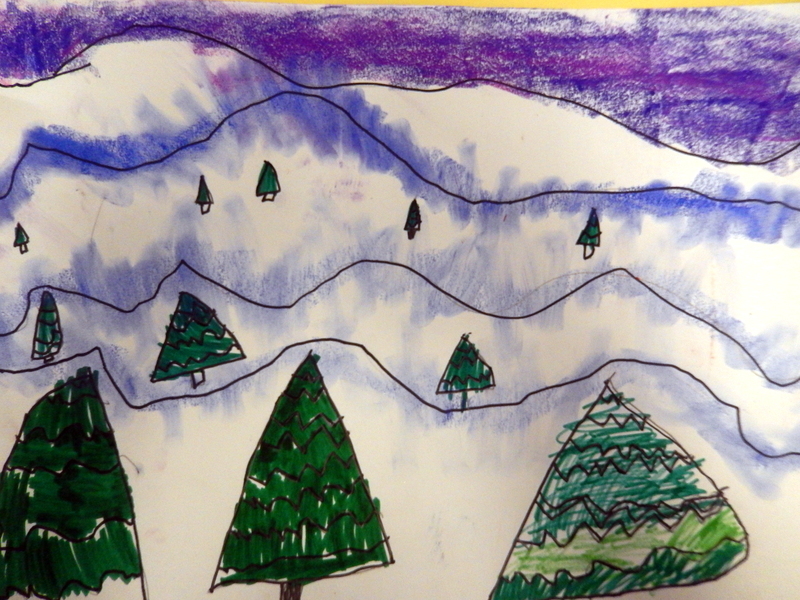 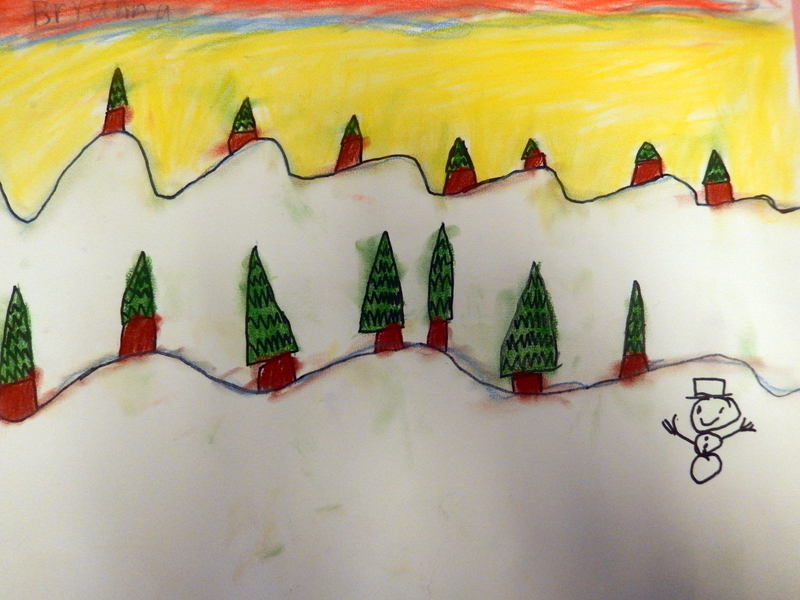 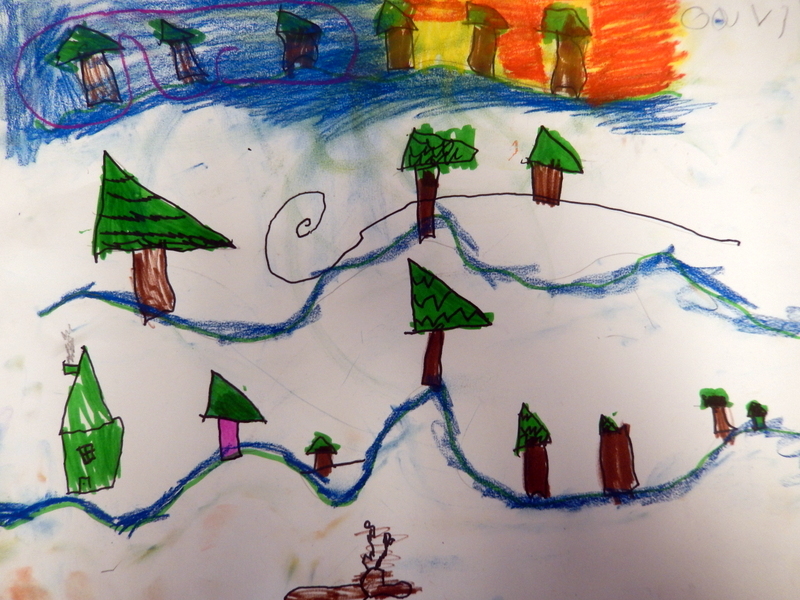 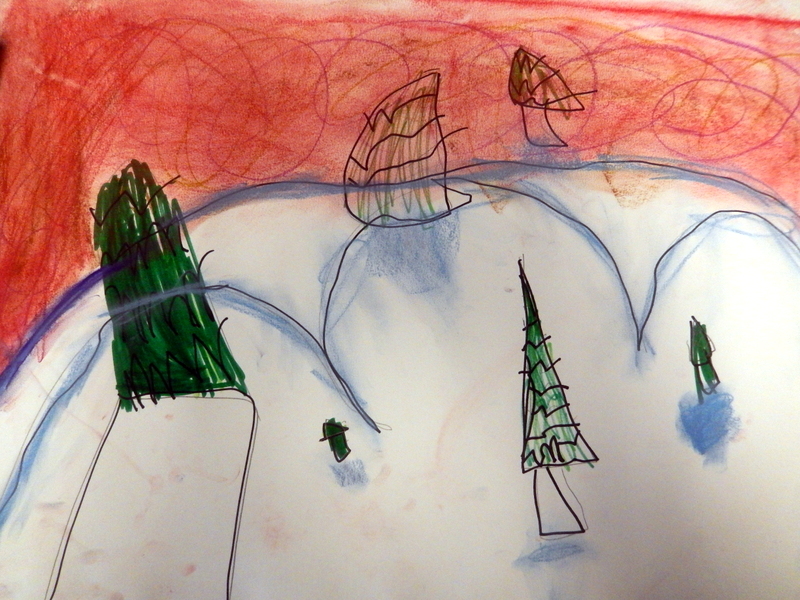 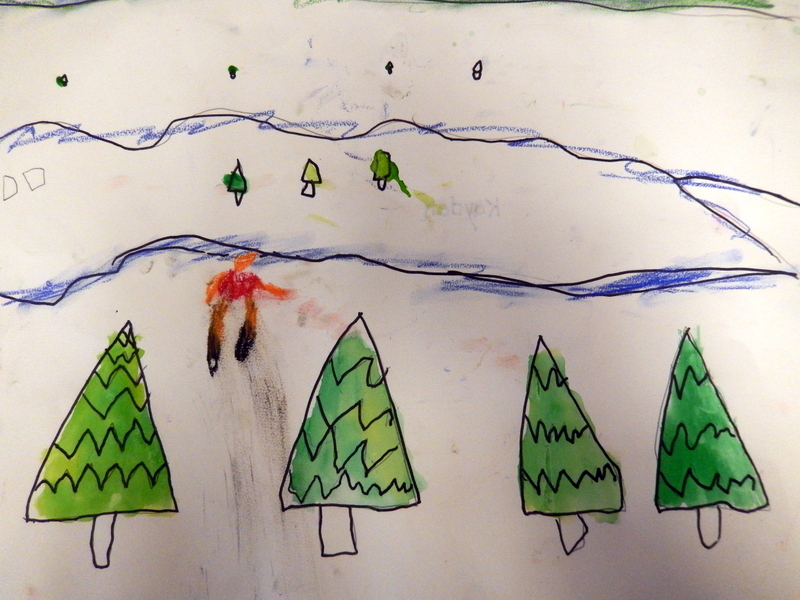 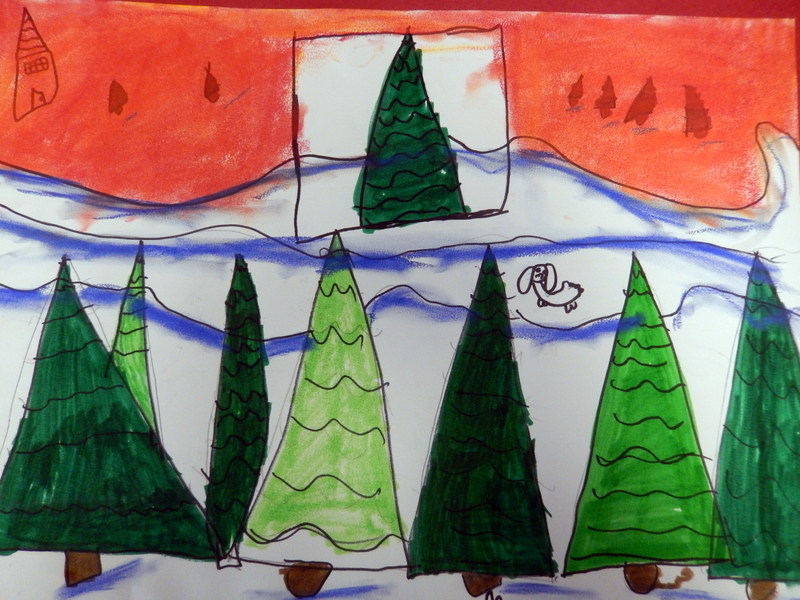 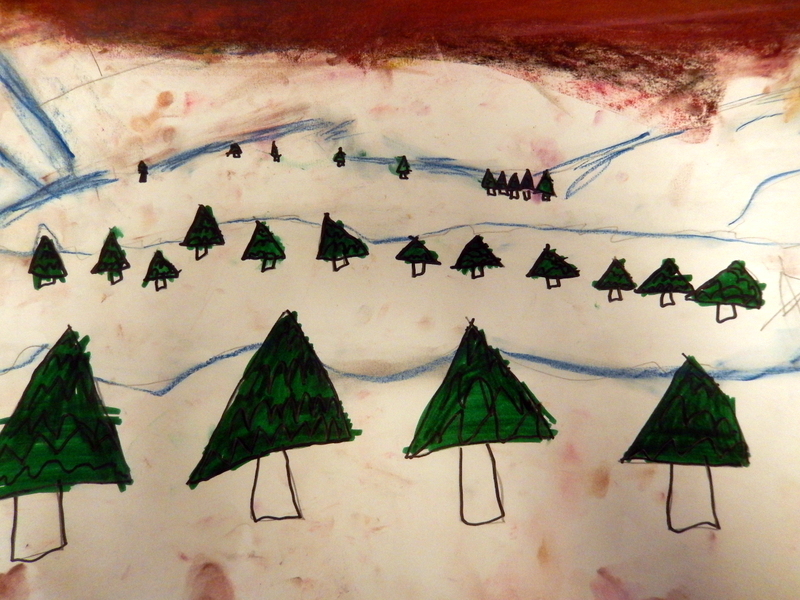 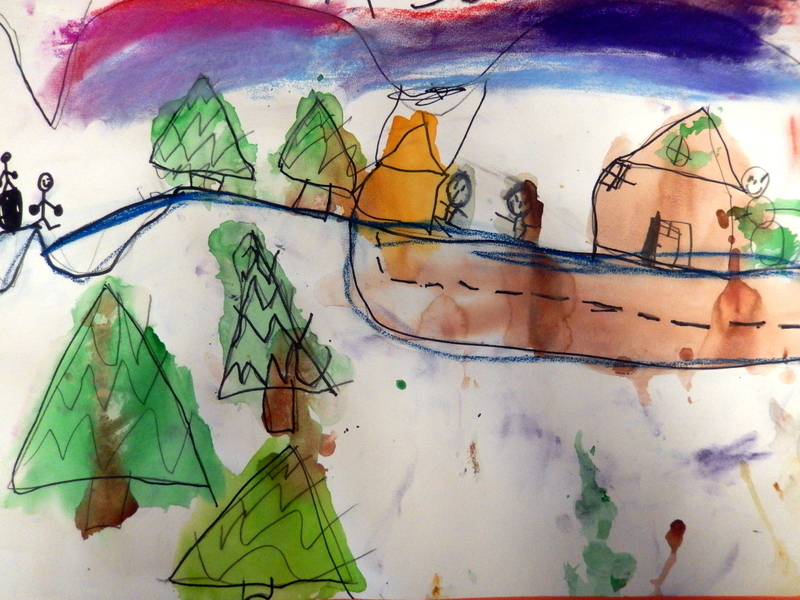 They colored their trees with marker and watercolor, and added sunsets and shadows with chalk pastel.